I plan to travel across the country with a small travel trailer visiting every tourist trap and every back road possible. I joke that I’m leaving the day my daughter goes off to college but I have every intention of pulling her right along with me. We may even take the ole’ man, who knows? One of the many places I want to experience is Dos Palmas in Patagonia, Arizona. 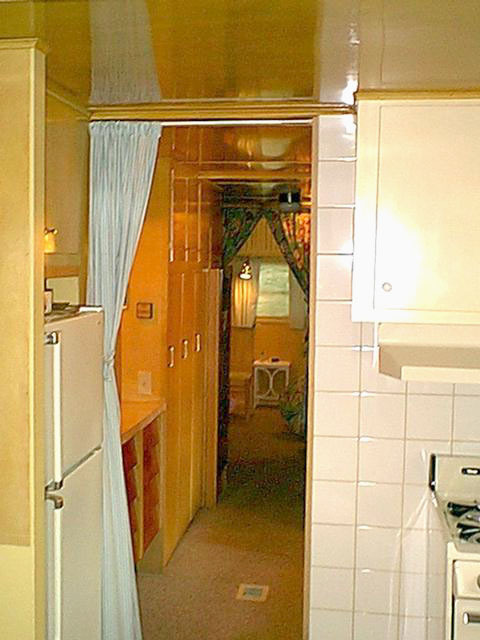 The website describes Dos Palmas as having a 1958 Spartan Imperial Villa trailer home that you will find spacious, charming and comforting. Dos Palmas sits on a wooded private lot in the heart of Patagonia, with a covered patio that runs its entire 50-foot length. For less than $100 a night, I can sleep in a Spartan Imperial Villa? 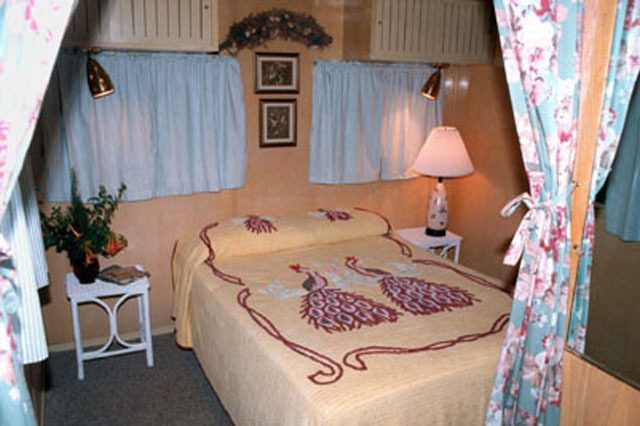 The Dos Palmas seems to be one of many ‘mobile home’ motel establishments. It’s a place that caters to us romantic types. 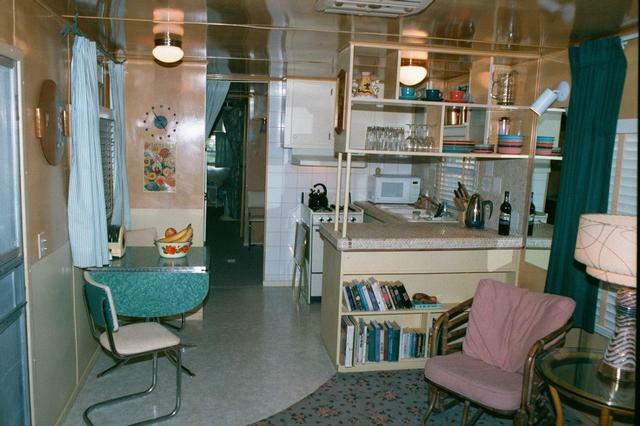 You know, those who absolutely LOVE vintage mobile homes! 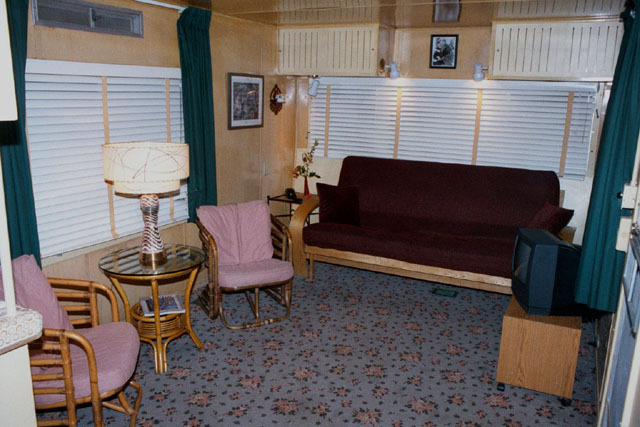 Have you ever stayed in a mobile home motel? 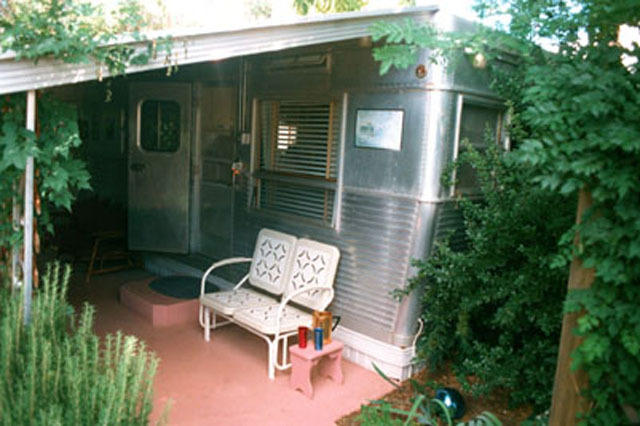 Do you have any big traveling plans that involve a home on wheels? We’d love to hear from you! as always…Thanks so much for reading Mobile Home Living! 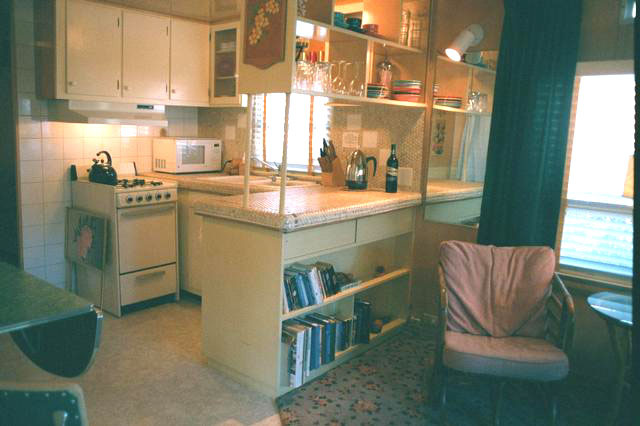 If you’re interested in learning more about the rental, please go to their website here. 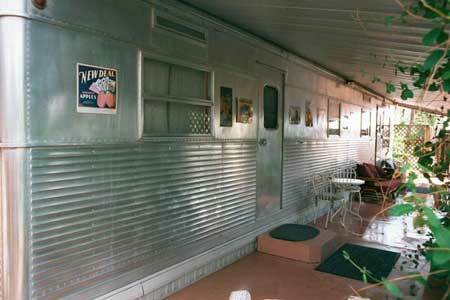 I could definitely see the hubs and I staying in this, well if we didn't have a travel trailer. What a great alternative to a hotel room. Hope you get to take your cross country trip someday Crystal! You have done a beautiful job with the decorating and very inspiring to me.